Cider doughnuts. Apple Pie. Pumpkin Spice Latte. Of course, you can find those traditional fall flavors at a drive-thru nowadays. But do they really taste the same if you’re not outdoors, dressed in layers, and enjoying the fall colors? Earn those tasty calories with something a little more heart-pounding than your traditional walk through the pumpkin patch with these destinations around Chicago this fall that encourage you to get a bit more active. Not only will you see Chicago at its most colorful, but you can get put that summer fitness to the test a few more times before having to go into winter mode. Bon appétit. 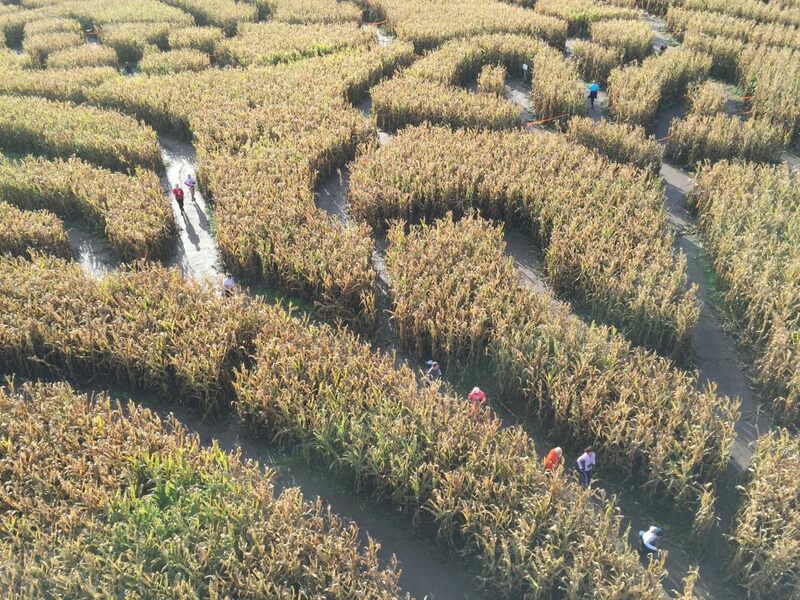 Head to Spring Grove, Ill., just south of the Wisconsin border, to take on one of the more remarkable 5k runs in the area—the World’s Largest Corn Maze Run on Oct. 18. In this case, the name of the event really does tell the story. The Richardson Adventure Farm creates the world’s biggest corn maze every year, and the 3.1-mile course fits easily in the 33-acre creation with enough turns (250) to make you dizzy. Don’t worry, police tape lines the route to keep you from getting lost. Runners start every three seconds, so the course never gets too crowded. After the run, enjoy the farm’s amenities, which include a pumpkin patch, observation tower, zip-line, and a bounce structure. There’s even an inflatable 11-foot ball to ride, hamster-wheel style. The race is timed, but don’t expect a PR. 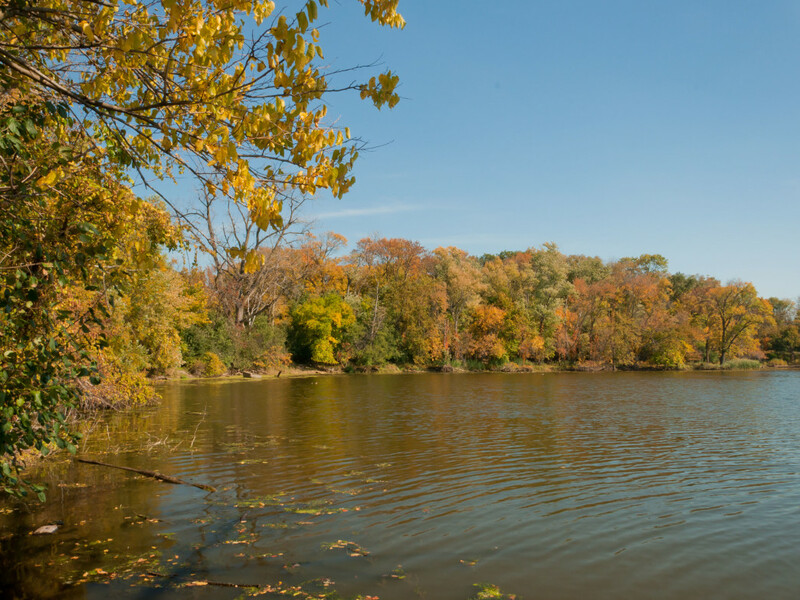 If you’ve never tried paddling at the Skokie Lagoons in north suburban Winnetka, it has never been easier than at the fall paddle on Oct. 17, hosted by the Cook County Forest Preserve. Boats will be available for use (or bring your own) and the forest preserve will have guided hikes, pumpkin painting for the kids and other fall activities. The free event will even offer canoe instruction for those who’ve never paddled before. The forest preserve starts at Willow Road, and runs basically parallel to I-94, just east of the expressway. The Chicago Botanic Gardens marks the northern edge of the preserve, between Dundee and Lake Cook Road, and paddlers can explore the gardens from the lagoons that surround the property. The event will be held at the Tower Road Boat Launch, which is just south of Tower Road and east of I-94. 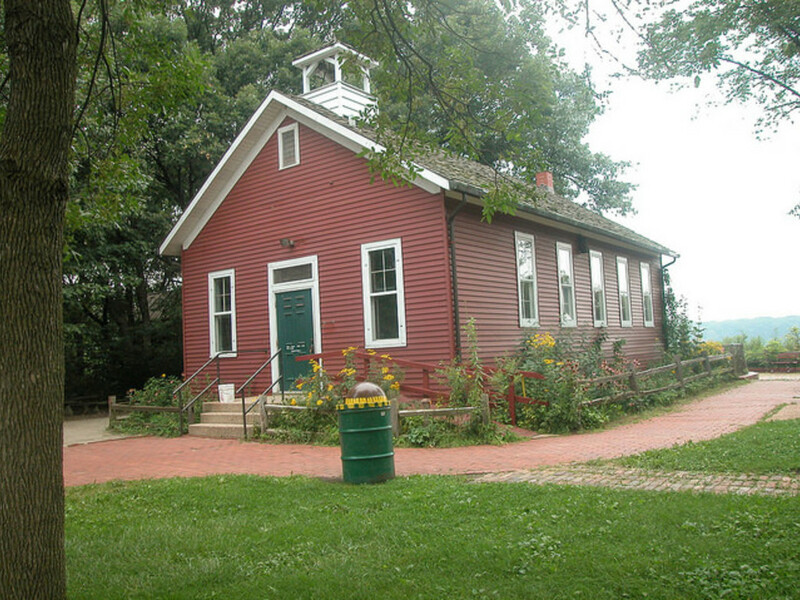 The Little Red Schoolhouse Nature Center in Palos Hills has gotten around. It was first moved to Camp Kiwanis in 1932—using only a mule and log rollers. It was moved to its current site in the forest preserve in 1952 and became a nature center focusing on outdoor education. In 2010 a new visitors center was built, which now includes life animals and other interactive exhibits for kids. The fall is filled with events, which gives you a great excuse to head to Palos Hills and take advantage of the adjacent Palos Trail System , which offers the best mountain biking, hiking and trail running in Chicago. After a day on the trails, stick around on Oct. 24 for the Little Red Schoolhouse’s Night Sky Program , in which the Chicago Astronomical Society will provide telescopes and guidance of what to see. St. James Farm is one of the newest forest preserves in the Chicago area, having been acquired by the DuPage Forest District in 2007. For most of the 20th Century, the property was owned by the McCormick family, starting with Chauncey and Maureen McCormick in the 1920s. Chauncey was the great nephew of Cyrus McCormick, the inventor of the mechanical reaper and founder of what would eventually become International Harvester. 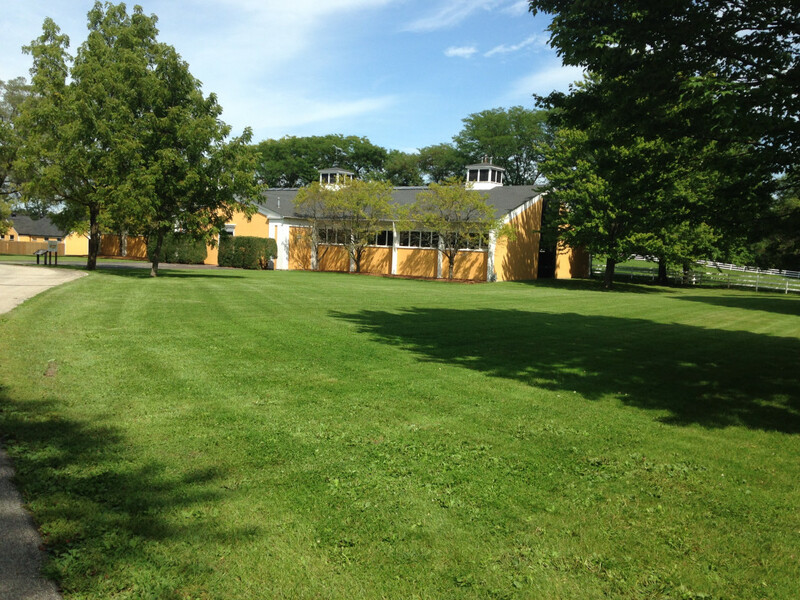 In addition to the historical significance, St. James Farms offers runners and hikers more than three miles of off-road trails that highlight the landscape design of the property. The trails are highlighted by allées, or tree-lined promenades, that extend from the buildings on the property. 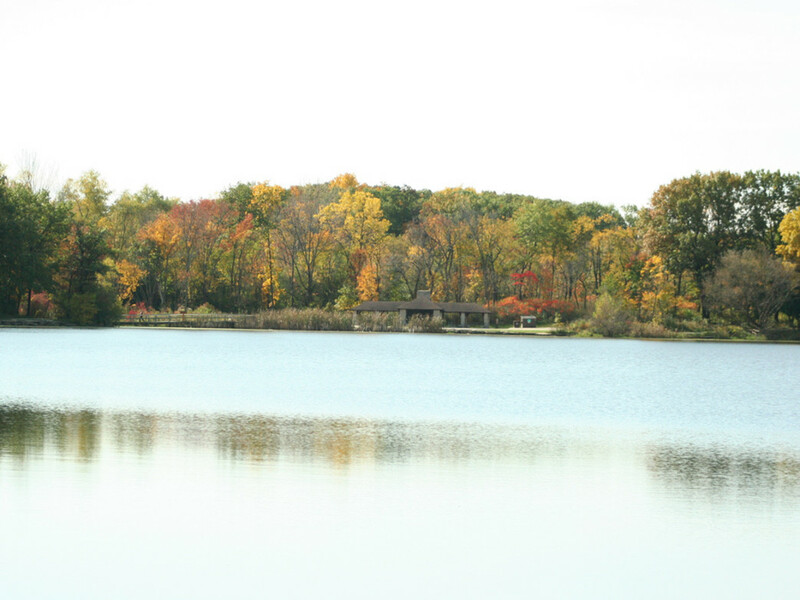 On Oct. 18, the forest preserve will offer 30-minute covered wagon tours of the property to view the fall colors. 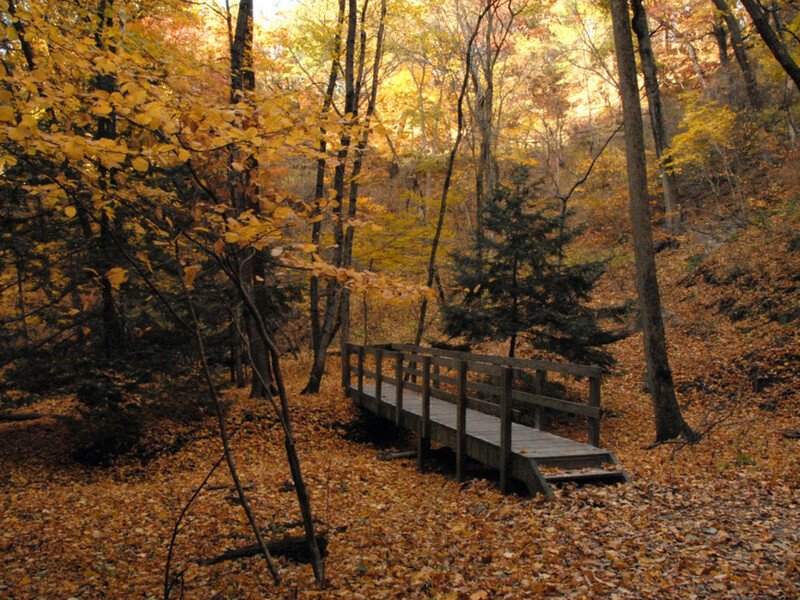 But even if you can’t make the tours, the allées are perfect for a fall hike or run, and the McCormick’s large collection of outdoor art make for one of the more unique forest preserves in the area. Taking a bike tour of the vineyards doesn’t really sound like something you’d do in Illinois, does it? Think again. 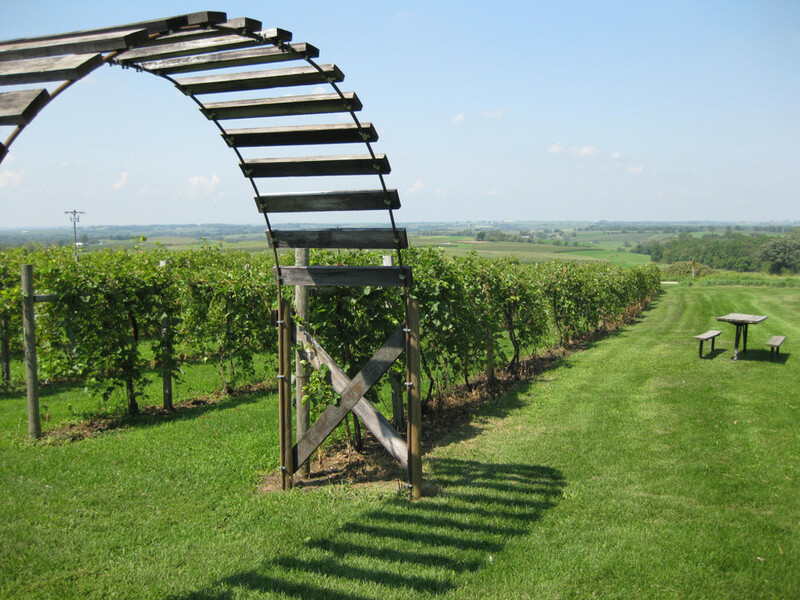 Fever River Outfitters in Galena, Ill., hosts a 12-mile bike ride to the Galena Cellars Vineyard on Saturdays and Sundays throughout the month. If you’ve never been to Galena, it doesn’t fit the stereotype of Illinois either, with rolling hills that offer amazing views of the Mississippi River Valley and the surrounding countryside. The ride is definitely more challenging that an easy coast on the Lakefront Path. Galena is in the northwest corner of the state, about 3 hours from Chicago and 20 minutes from Dubuque, Iowa. You’ll find plenty of relaxing activities as well—think bed and breakfasts, antiquing and spas—but you can also spend your outdoor time exploring those hills. If you really want to put those legs to the test, come back on Nov. 7 for the Galena Lead Rush Half Marathon. This annual 8-mile and 5k takes advantage of the running trail at the Danada and Herrick Lake Forest Preserves in Wheaton on Oct. 25. While technically a trail run, the race is almost entirely on the crushed-limestone paths in the forest preserve, so you don’t have any technical element to worry about. 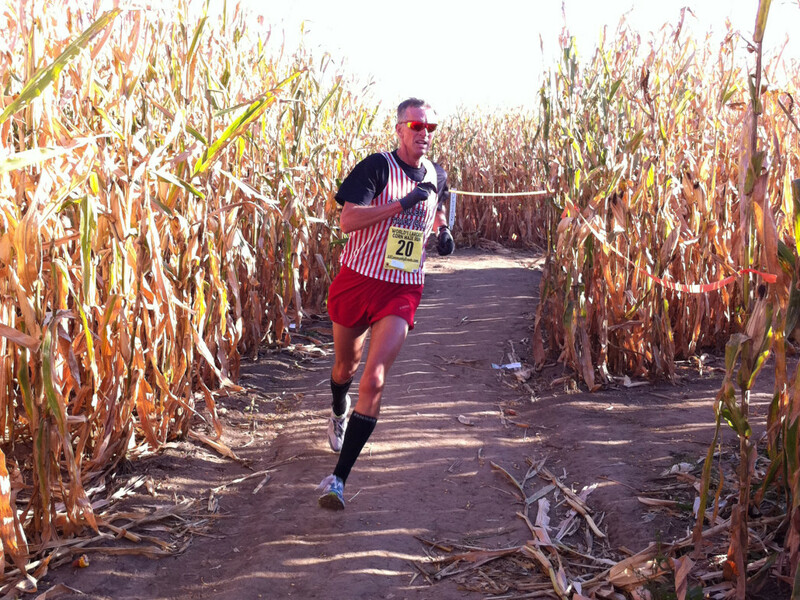 The course features some prairie landscapes, but features plenty of tree-cover—particularly on the 8-mile course—to enjoy the fall colors. All participants receive a fleece jacket with their entry, and after the race you can restore all those calories with plenty of hot cocoa and other chocolate treats. Not that you need an excuse to visit Starved Rock State Park, the most visited state park in Illinois. As if the hiking and fall colors aren’t enough for you, the Starved Rock Lodge features an Oktoberfest celebration the weekends of Oct. 10-11 and Oct. 17-18. You’ll enjoy German food, beer, wine, and music as a great way to finish off a day at the park. But of course, the real draw is the park, which features 18 canyons that were formed by melting glaciers. You’ll find impressive rock formations, wooded hiking trails, waterfalls and scenic lookouts atop sandstone bluffs that, quite frankly, make you wonder how this all got to central Illinois. With the fall colors out, expect crowds, especially on nice days. But don’t worry, it’s still worth the trip.